gave a panoramic view of Lake Worth and beyond. to the ground. It is still there to see as of 2009, but I don't give it much longer. 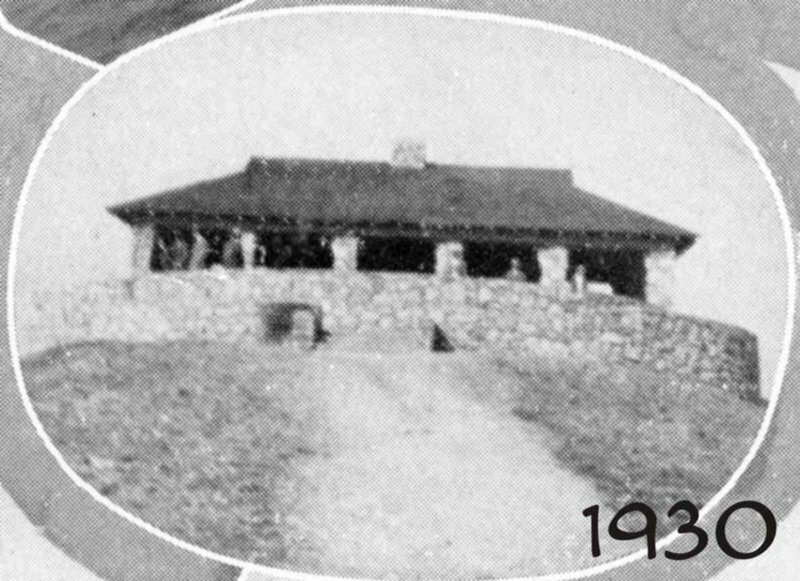 There were at least two other picnic shelters along the lake: Broadview and Mosque Point. This is a scan from the 1930 North Side High School yearbook, provided by Lisa Helbing. Note that this unusual view is from the south, showing the backside of the curved rock wall. 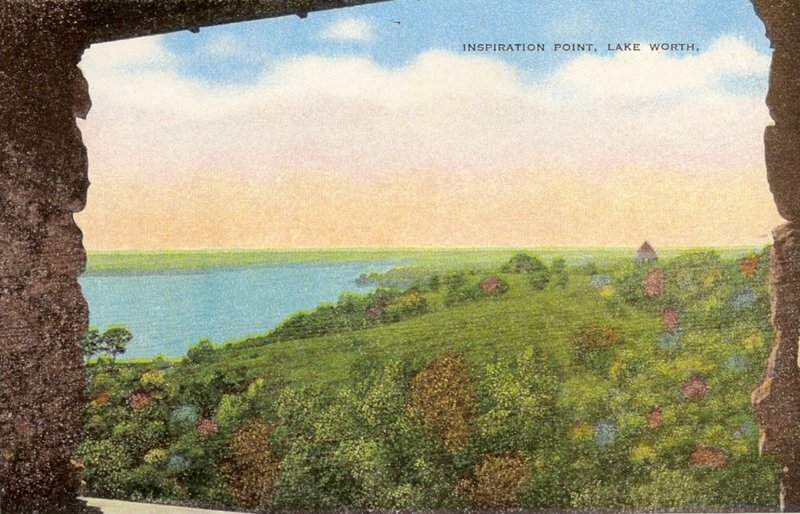 Postcard view from Inspiration Point. No date, but I'm guessing the 1940s. From the collection of John Cirillo. 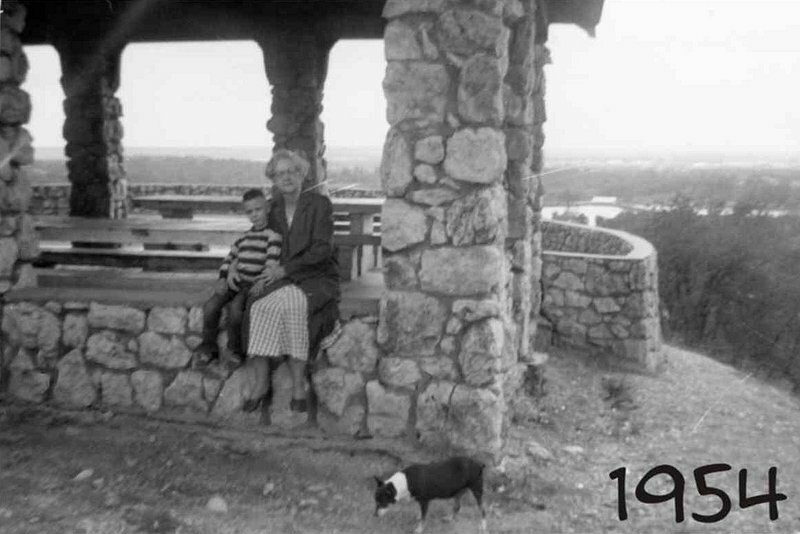 1954 photo of Inspiration Point, submitted by Lisa Helbing. with her grandson Raymond Tullous. 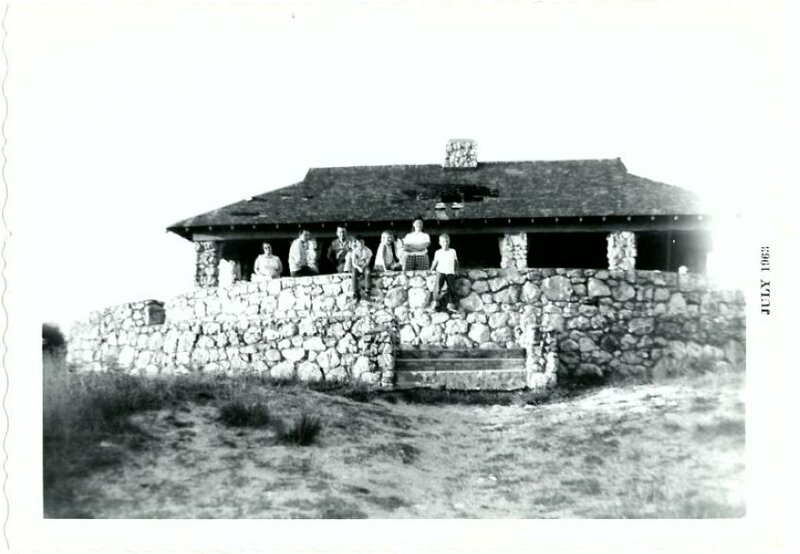 A family photo at Inspiration Point, around 1963. From the collection of Bridgett Stevens. 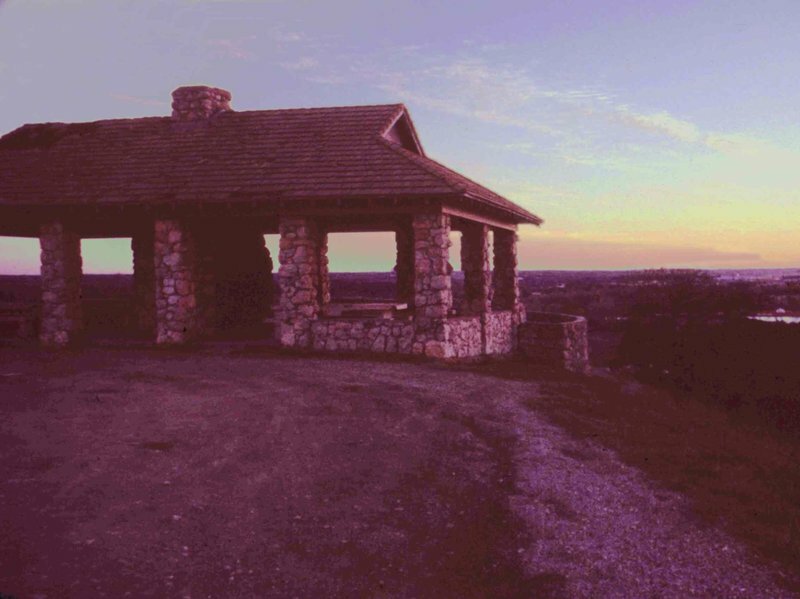 A view of Inspiration Point at dusk in December of 1978. Photo taken by John Cirillo. Digital restoration by Lisa Helbing. 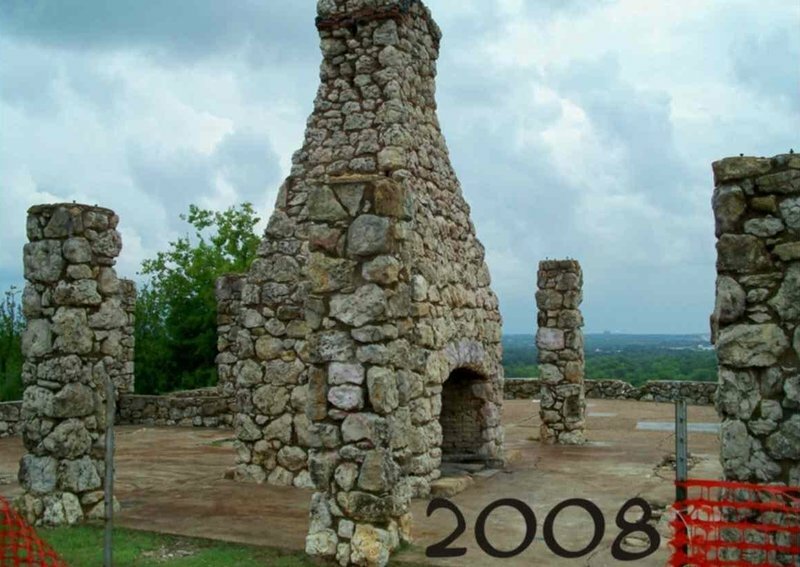 A 2008 view of Inspiration Point taken by William Darden. late 1970s and was replaced, only to burn again. It was never replaced again. they have a chance to tear it down. Photo and information submitted by Lisa Helbing.